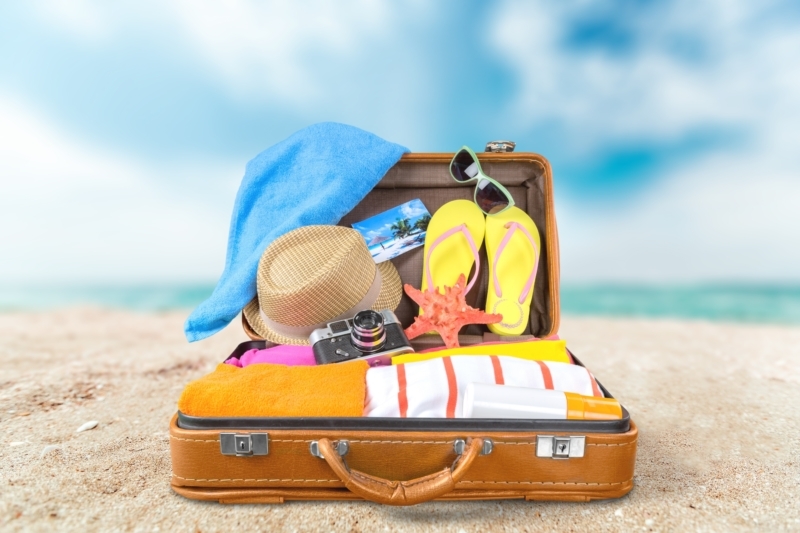 Vacation travel should be fun and easy, but the reality that is it can be stressful as you don’t want to forget anything when many miles from home. You end up leaving Post-It notes around the house or making mental notes you think you’ll never forget, only to arrive at your destination to realize that you forgot your toothbrush. Essentials – The “Be Prepared” motto is at work here. Vacations can be filled with surprises, so be ready for every scenario by bringing the documents you may need. 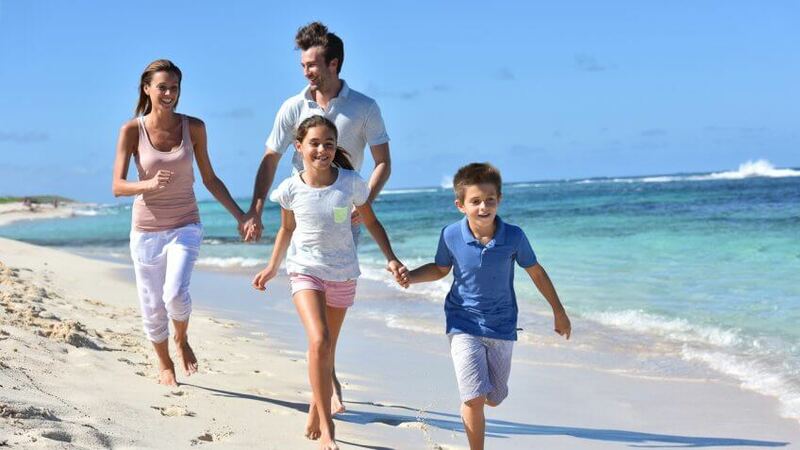 Clothing – The weather in Turks and Caicos is usually 80’s during the daytime and 65-70 after sundown. The days are warm and breezy nights can feel cool, so plan accordingly. Toiletries – You can find everything in this section at the nearby Graceway IGA, but a little preparedness will help you avoid the higher prices in Turks. 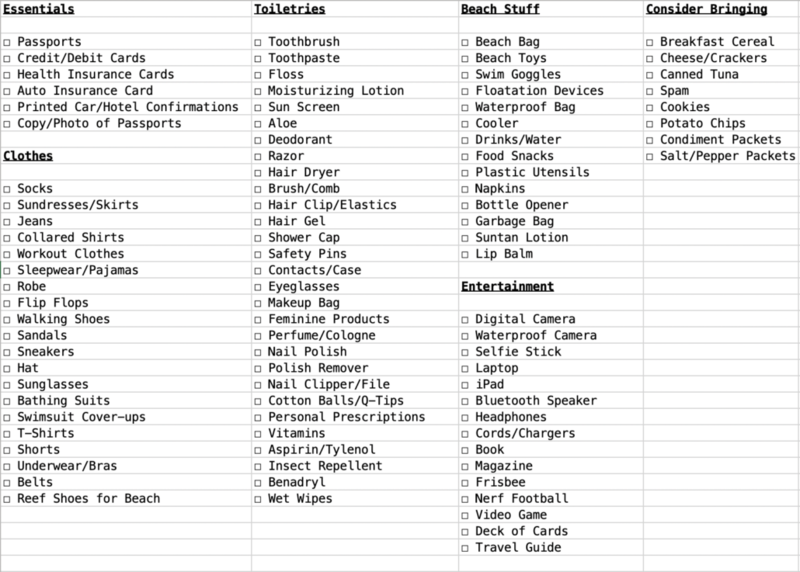 Beach Stuff – This portion of the list will be different for everyone: Think about how you plan to enjoy your beach time. Entertainment – Vacation is about having fun, we hope these suggestions help you fully enjoy day and nighttime. Consider Bringing – The aforementioned IGA is a wonderful resource but it is pricey. Cut down on those grocery expenses by bringing the small food items that travel well. Did we miss anything? Please let us know in the Comments section below. Thank you for your feedback.